4 Day Clinical Supervision Workshop Series. October 15, 16, 17 and 18, 2019. All workshops run from 9 a.m. - 4 p.m. Registration starts at 8:30 a.m. Price on or before September 30, 2018 is $595.00 for the entire conference. Price between October 1 and October 13, 2018 is $650.00 for the entire conference. 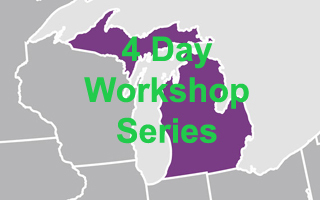 NOTE: All 4 workshop days (30 hours) are required. This conference also provides 30 of the 45 Continuing Education Clock Hours for NCC recertification and provides the 30 hours of education needed to obtain your ACS (Approved Clinical Supervisor). The home study course is included in the cost of this conference. FOR THOSE INTERESTED IN OBTAINING ALL 45 HOURS OF ACS TRAINING AN ADDITIONAL 15 HOURS WILL BE PROVIDED AT NO ADDITIONAL COST!